EASY MARKET BASED (NO HAGGLE) PRICED TO SELL. NO ACCIDENT CARFAX. 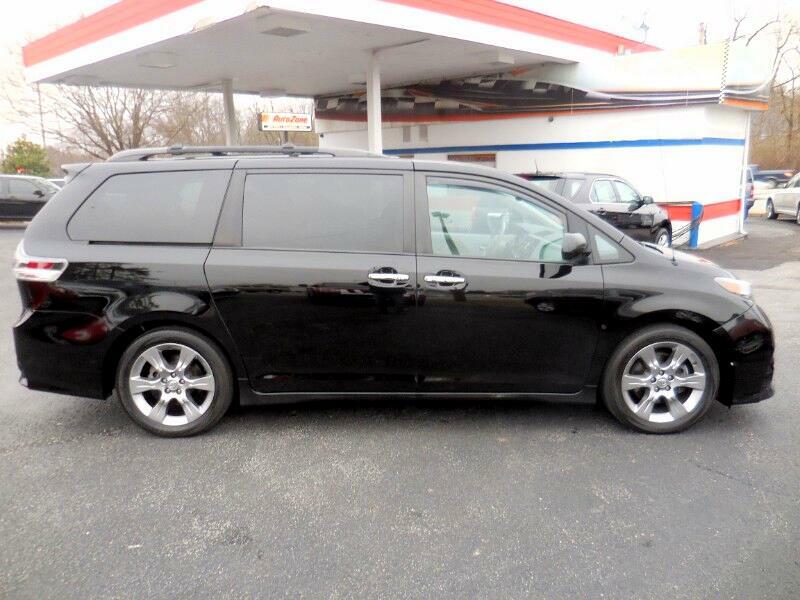 THIS SE SPORT MODEL 8 PASSENGER SEPARATES ITSELF FROM OTHER SIENNA'S AND BOASTS AN AGGRESSIVE BODY KIT. A LOWERED SPORT-TUNED SUSPENSION AND UNIQUE INSTRUMENTATION AND INTERIOR TRIM. FEATURES INCLUDE BACKUP CAMERA, POWER TILT/SLIDE MOONROOF, REAR ENTERTAINMENT IN BOTH REAR HEADRESTS, BLUETOOTH WITH HANDSFREE WIRELESS, FOLD AWAY 3RD ROW SEAT, QUAD SEATS, REAR A/C,CRUISE CONTROL,AUX CORD INPUT, BLIND SPOT MONITOR, LEATHERETTE AND CLOTH POWER SEATS. CALL JEFF TODAY AT 502-254-3397 TO SCHEDULE A TEST DRIVE, MAKE AN OFFER OR DISCUSS YOUR BEST FINANCING SOLUTION.